Walter E. Nelson Co. of Western Washington – Walter E. Nelson Co.
Wenco of Western Washington is the largest family owned distributor of janitorial and sanitary maintenance products in the Seattle market. Our commitment to quality and customer service has led to our standing as an industry leader in the new technology landscape of Seattle for many decades. As the Western Washington region has evolved from traditional manufacturing to “High Tech”, our product offering has evolved too. The cleaning equipment we sell today is proven to clean at a much higher level of productivity (saving labor) and efficiency. The chemicals not only perform better, but they are safer for the people and the environment. But, beyond the products, we offer comprehensive cleaning programs providing solutions that meet the industry’s highest standards of quality and value. 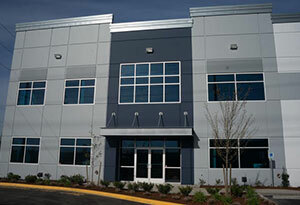 Our office is located in Auburn with easy access to Seattle proper and south to Tacoma and Olympia. We have the capability to maintain all of your janitorial and sanitary maintenance equipment through a direct pipeline to our Service Center in Portland. Let us design a personal and comprehensive planned maintenance program for you to keep your most critical and expensive running smoothly. Like all other Wenco locations in the Pacific Northwest, we are a founding member of Strategic Market Alliance (SMA), a member-owned cooperative comprised of prominent distributors of janitorial and sanitary maintenance, food service, industrial packaging, equipment and associated services, located across North America. This means that using SMA for nationwide distribution reduces overall product costs and provides operational efficiencies for Regional and National business. Our mission is to provide our clients with knowledge based customized solutions to achieve clean, healthy, safe and sustainable facilities at the lowest overall total cost. Contact us anytime for answers to your toughest cleaning questions.